Thrill in the excitement of the day while delighting in avoiding the long drive and heavy traffic. 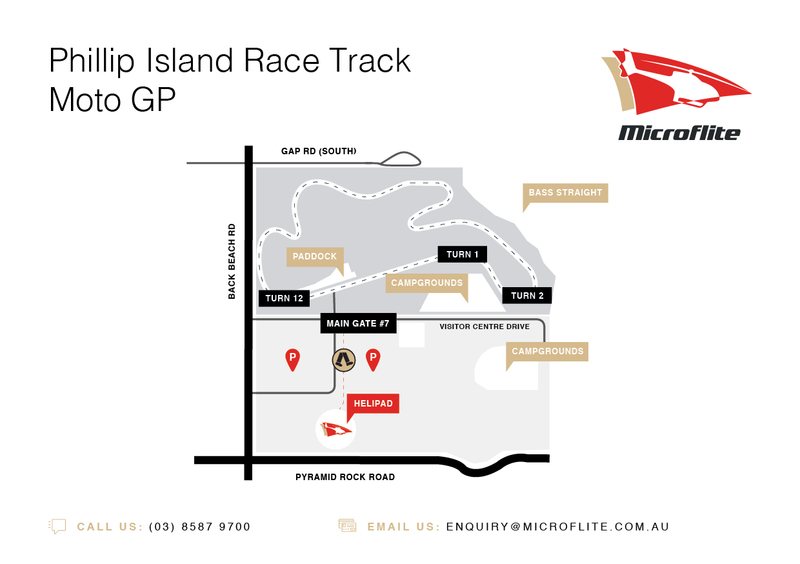 Microflite flies daily to this event, and lands at the track so you have direct access to all the action. Multiple departure times to and from Phillip Island Circuit available from Melbourne Heliport, Melbourne (Tullamarine) Airport and Moorabbin Heliport. How far is the helipad from the main gate? 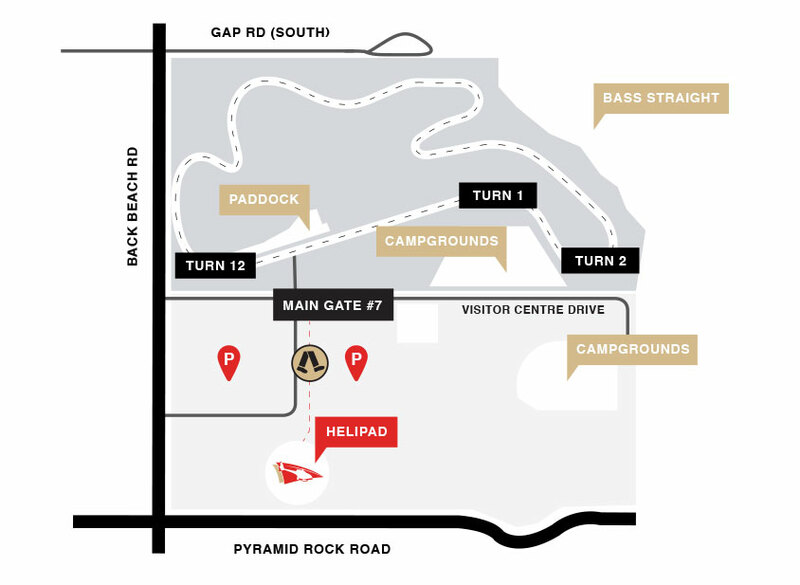 There is a short walk of approximately 5 minutes from the helipad to the main entry gate. Are there bathroom facilities at the Phillip Island Circuit helipad?